Eliminate your firm’s wasted time! 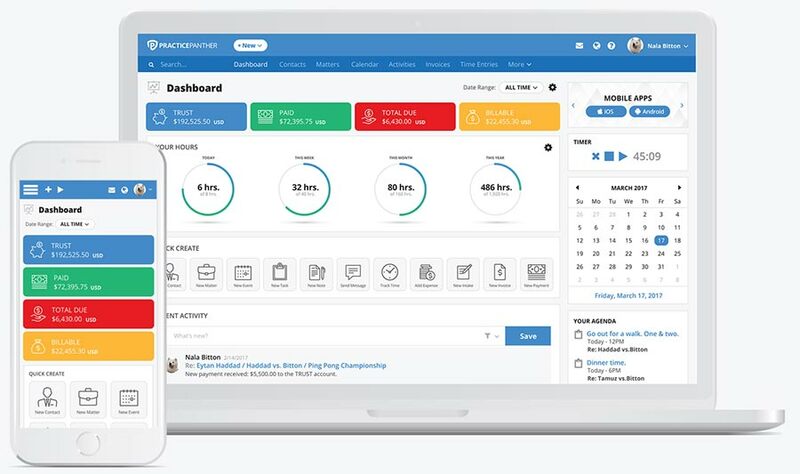 With our wide array of customizable features, hold your firm accountable and keep your client relationships happy without breaking the bank (or timeclock). 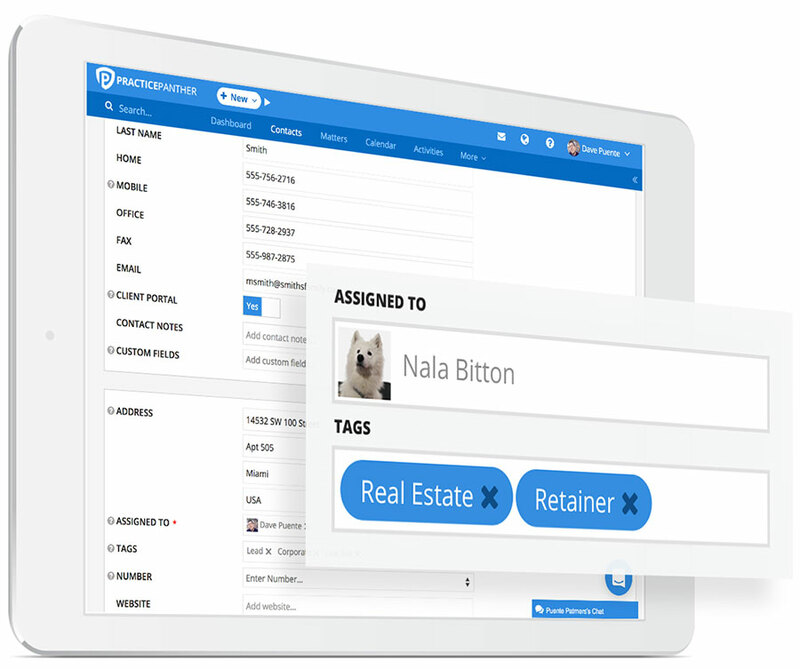 With our intake forms, custom fields, personalized tags, and countless other customizations, tailor our legal CRM software to you and your clients’ needs. Stay in touch without ever getting behind schedule. Learn more about Contacts & Matters. Check off tasks, generate workflows, and never forget your deadlines with our multi-platform reminders. 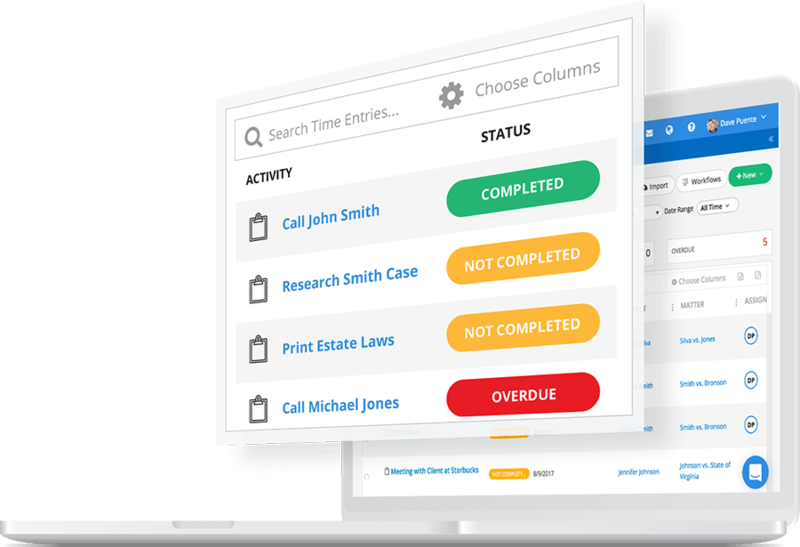 With our automated task management, event tracking, and workflow generation, legal CRM software has never been so easy! Learn more about Tasks, Events & Workflows. Manage and auto-fill your documents directly through PracticePanther. With our direct Box and Dropbox integrations, edit your files anytime. Don’t limit yourself to the four walls of an office; manage and review your documents from any device with an internet connection. Learn more about Legal Document Management. 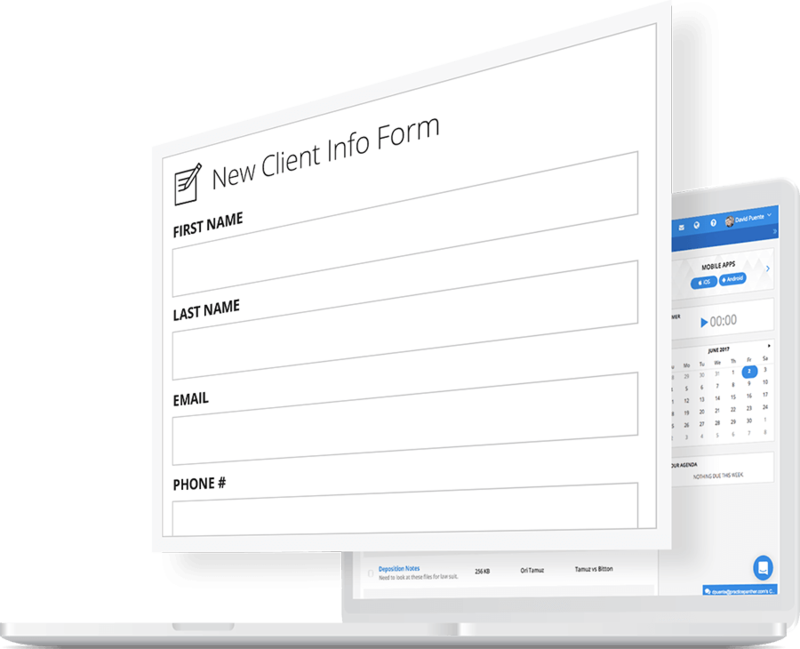 Place our intake form on your website to collect leads for your firm in your sleep. 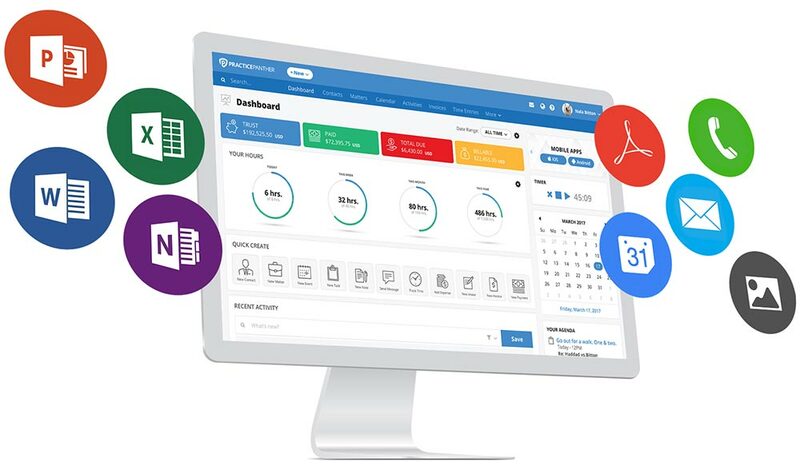 With our document generation solution, automatically populate client information onto pre-made templates and eliminate hours of work weekly! Intake your firm to a whole new level. Learn more about Intake Forms.